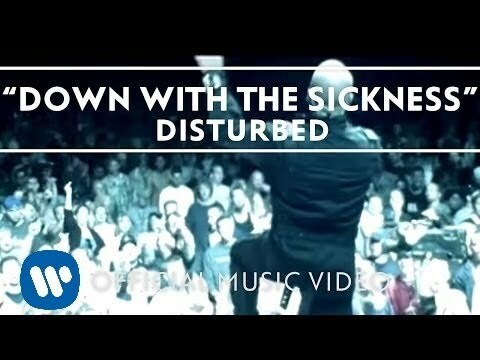 Down with the Sickness is the third single by American heavy metal band Disturbed. The song was recorded in 1999, and was featured on their debut album, The Sickness. The song has become one of Disturbed's best-known songs and is their first single that's been certified gold in the United States by the Recording Industry Association of America. It has also been used in numerous films and TV shows. It is a playable track on Rock Band 2.